America finally got a rate hike this year. 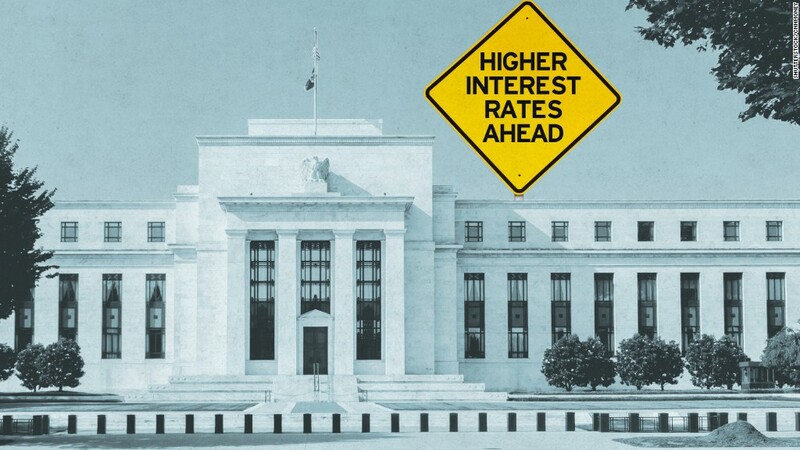 The Federal Reserve increased its key interest rate by 0.25% on Wednesday. It signified the Fed's confidence in the improving U.S. economy. Rising rates will affect millions of Americans, including home buyers, savers and investors. "Economic growth has picked up since the middle of the year," said Janet Yellen, the Fed's chair. "We expect the economy will continue to perform well." The rate increase indicates that the U.S. economy no longer needs the Fed's crutches and consumers and businesses can afford to pay more to borrow. America has added jobs for 74 consecutive months and the country's unemployment rate has fallen to 4.6%, its lowest level since 2007. The U.S. economy has expanded for seven years, even though the pace of growth has been slow. The Fed's rate hike "should be viewed essentially as good news -- the Fed sees enough strength" in the economy, says Vincent Reinhart, chief economist at Standish, an investment firm in Boston. The stock market fell after the decision was announced and Yellen's news conference was underway. The Dow fell over 100 points. Yellen indicated that the Fed's role in the economy is starting to recede and that Congress will start taking over that job of helping stimulate the economy. Fiscal policy is "not obviously needed to provide stimulus," she said. Yellen clarified that it didn't mean she was "trying to provide advice to the new administration or Congress," but said that her staff has been in touch with transition team of President-elect Donald Trump. Wednesday's move could be the first of more. Some economists believe the Fed will need to raise rates more often -- and perhaps at higher levels -- if President-elect Donald Trump spends big on infrastructure. "With the economy much closer to full employment now and a strong likelihood of a fiscal stimulus next year...we expect the Fed to accelerate the pace of [rate hikes] next year," says Paul Ashworth, chief U.S. economist at Capital Economics. The Fed released a new forecast Wednesday and it projects U.S. economic growth this year to be 1.9% and next year to be 2.1%, both slightly better than the Fed's previous projection in September. Overall, the Fed's rate increase reflects its confidence in the economy, experts say. "The Fed is clearly comfortable with how the U.S. economy is currently performing," says Scott Anderson, chief economist at Bank of the West in San Francisco.